Living creatures cannot live without water and there is a greater awareness today of the importance of drinking it. Water regulates body temperature and eliminates waste stored in the tissues quickly and easily. Drinking plenty of water is an excellent way to cleanse the body, which helps keep skin clear and beautiful. 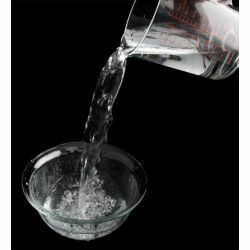 When you consider that it is quite normal to loose 600ml to 800ml, it becomes apparent how important water is to the normal functioning of the body. We use water in our range of shampoos, which includes the creamy Curly Wurly.